Why the Anger Over ADHD Medication? A Kid's Perspective. Why the anger over ADHD Medication? People are angry at my parents for giving me ADHD medication. When I was distracting the other kids and not doing my work the world was angry because I was being a derp. Now I’m a lot more focused and doing my work… and the world is angry (again!). So… I want to know, what’s behind this attitude that so many people seem to have — that all drugs for ADHD and ADD are just plain BAD? If I had asthma, my parents wouldn’t be getting slack for giving me the medications I need to function. Yet, asthma medications also have possible negatives and are not for everyone. The stereotype seems to be that people see using medications for ADHD as a short cut… to improving your performance (like doping in sports) or to stopping your “annoying” behaviour (which is where the talk about being “bad parents” comes in). But that’s not what it is. And this stereotyping is hard on the kids. Let me tell you. Judging parents who decide to use ADHD meds is not helpful to the kids struggling with it. I think a lot of people comment without knowing much about ADHD medications, the ADHD condition, and the person who has the ADHD. And what a lot of what people “know” isn’t from the best sources. Sadly, anyone who listens might miss out on a chance to improve their kids’ lives by getting a real diagnosis, working with a doctor or learning about ADHD medications. Stop feeding your adhd kids amphetamines I have adhd and add google the chemical make up of meth and adderall as a parent you need to know this is horrible. Good way to start your kids daily drug dependency habit. Okay, so let’s clear the air. I’m not taking medications to behave better or to be smarter. I always had a ton of ideas and understood things well. I just couldn’t focus no matter how hard I wanted to… and I always felt like I was losing ground. I’m taking medication to balance something that is legitimately out of balance, and has been proven. And yes, if someone off the street took my medications, they might experience something, but that’s the same with many other medications as well. That’s drug abuse, which is really a different topic. I’ve been diagnosed after spending a lot of time with specialists — they’ve run me through intensive tests and interviews, they’ve looked at other possibilities, and they’ve done follow-up appointments. 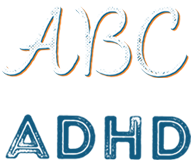 My diagnosis with ADHD came after several years of struggling both at school and at home. It was not only hard for me to get things done, it was also hard for me to interact with other kids at school. I was bullied every year because the kids and the teachers were fed up with the way I acted. There wasn’t anything productive or happy in my school days. I was going to school — but I was not gaining an education. Finding the right medication and dose for my condition hasn’t been easy either. I wrote a post in October about the serious troubles I ran into while searching for the right medications (check it out by clicking this link). I did try one that made me feel like a zombie, another that made me sick to my stomach…. The point is, I know what it feels like when the medication works. The results are kinda like wearing glasses when your eyes aren’t that sharp. Why judge each other? Why be negative when someone makes a decision you don’t really understand? Unless you’re speaking from a place of real scientific know-how, why not just see what we can learn from each other? We may have different experiences, but everyone’s got something to deal with. On the upshot, people have suggested all kinds of things to me that I think would improve anyone’s day. I’m all for learning about eating habits, excercise, sleep habits, even mindfulness. I think there’s something to be gained from trying out some of the lifestyle hacks that they talk about. And I’ll gladly share what I learn. But when push comes to shove, I see the improvements in my life from the doctors and the meds. And I wouldn’t want others to be scared off by the stereotypes.